Today is the biggest shopping day of the year, which means that my husband is hard at work. I am instead at home, sitting at my computer with the heated throw that my husband got me (I’m always cold) and sipping on some hot tea. I have homework to do that I’d like to get done before he gets home, but first I will write. Thanksgiving was a hard day, even though on the surface it was a lovely day. We slept in, ate a big breakfast, took a nap together, went out for dinner, and then watched football before going to bed early. It was a bittersweet day that I did enjoy but went to bed sad, wishing I had needed a high chair at dinner and could have dressed Caroline in a turkey outfit. Instead, we decorated a small Christmas tree for Caroline and put all of her ornaments on it. There is a void in my heart that cannot be filled by anyone but her. Thanksgiving is one of my favorite holidays and this is the first time it has been both happy and sad. That is the reality of being a bereaved parent – you are always a little happy and a little (or a lot) sad. The two emotions coexist in a way that was never possible before. I am so thankful for my daughter. She has taught me so much and led the most meaningful life. She helped me to believe in miracles again and inspired so many wonderful things. She made me a mom and for that I am forever grateful. I love her so much, always and forever. I am also thankful for my husband, who has been my rock of support through the best and worst year of our lives. If not for him, I surely would have quit my program and abandoned my life here. He is my shoulder to cry on and my inspiration to keep moving forward. Yesterday, me and the husband were talking about long lines for store openings. I have never been one to go out shopping on Black Friday – I hate crowds and long lines. However, I thought that there was one person I would have braved the crowds for – Caroline. Or another child someday. If there was some toy that my child wanted for Christmas, and the only way I could afford it was to go out on Black Friday, I would do it. Being a mom drives you to do things you never would otherwise, because you love your children so much and would do anything for them. 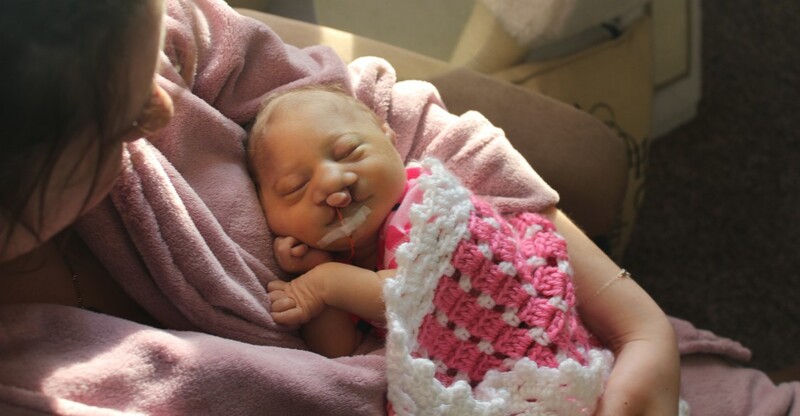 If I could have died for Caroline so that she would have the chance to live a long life, I would have in a heartbeat. However, I was not given that option. For some reason, God wants me to stay here while my baby is in heaven. All I can do now is try to keep moving forward, making Caroline proud when I can. I anxiously await the day when we are reunited and the void in my heart is once again filled. Categories: Grief | Tags: bereaved parent, black friday, Christmas tree, crowds, heart, inspiration, love, miracle, mom, ornaments, thanksgiving | Permalink.